'Betty Cooper' ( Eleanor McCown, R. 1981). Seedling #78-F. SPU, height 48" (122 cm). Midseason bloom. 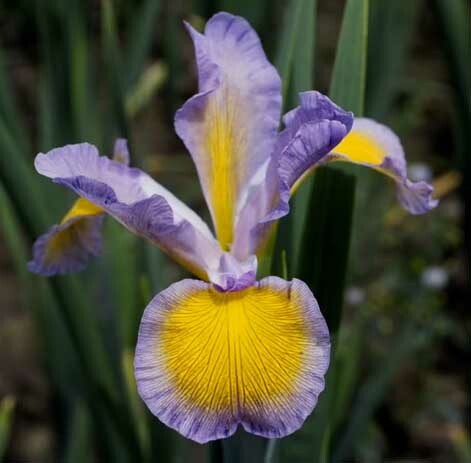 Standards light violet (HCC 10pb 6/8), lightly streaked pale yellow; falls light violet (10pb 6/8) border with strong orange center, heavily veined brownish purple; ruffled; slight fragrance. 'Highline Lavender' X seedling #71-3: ( 'Desert Seagold' x 'Imperial Flight'). Cordon Bleu 1982. Honorable Mention 1984; Nies Award 1986; Nies Medal 1993.